My name is Randi Kleiman Brokman. I visited Odessa twoyears ago and being here inspired me to findi out more about my family's heritage. 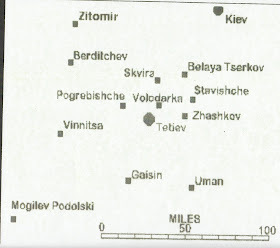 It seems that both my father's parents came from Ukraine, exactly in the path I traveled between Odessa and Kiev. 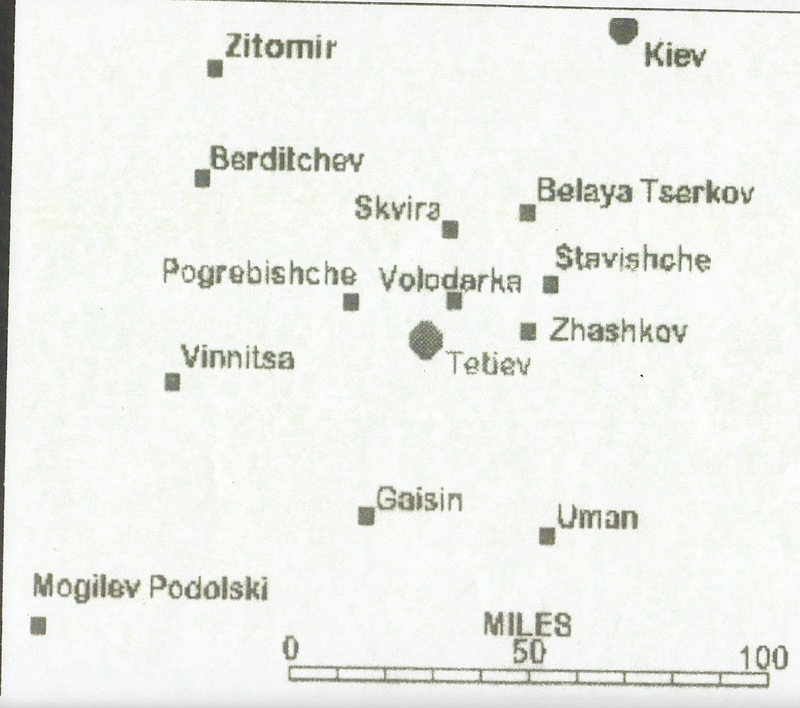 My father's father Avraham Zeev, came from the shtetl of Tetiev, located 70 miles south west of Kiev. His grandparents were named Moshe & Devorah. My father and Aunt are named for them. 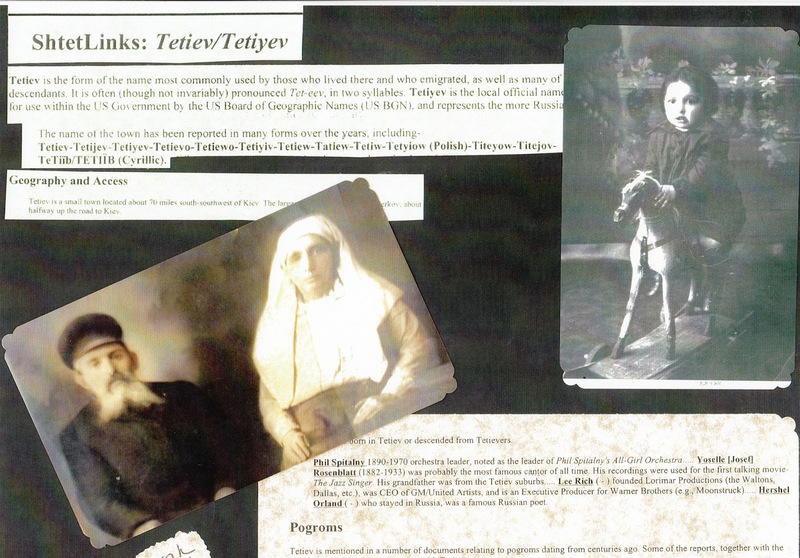 They both died in the Pogrom of Zeleny's Unit at Pogregische in 1919 where the Jewish population of Tetiev was coralled into the synagogue and burned. My grandfather was not there at the time, but his three sisters were burned in the synagogue during the pogrom. I am named for two of my grandfather's two sisters, Rivka and Feiga. My grandfather was a Ziionist and he traveled to Palestine as a young man. He later traveled to America and when he learned of the death of his family, he tried to find landsmen to connect with them. He found them and was part of the Tetiev. My father's mother, Chaya, came from the shtetl of Stavische, also south of Kiev. Her parent's Tzvi and Pessie lived there with their many children. They left the area before World War II and came to America. There were many children, grandchildren who formed a family circle which emets a few times a year to this day. There is also a connection to Israel where the family members there also meet annually on the holiday of Shavuot.